Was it not thou who said life is but a waltz? Beware, only a lover can sway true to the wonders of this mellifluous tone. Music, the endowment of sublimity, leaves no true heart solid nor sane. Choreographer , Performer and Dance Instructor, Nazanin Badiei is known for her second-to-none “Authentic Persian Dancing” performances held in the Talar-e-Vahdat auditorium in Tehran. As an instructor, an inspiration to hundreds, and as a performer, she has demonstrated her talent to audiences of thousands. Among the many Persian dance styles she has mastered and instructed one can name Aazari, Kordi, Shomali, and Modern Persian dancing. 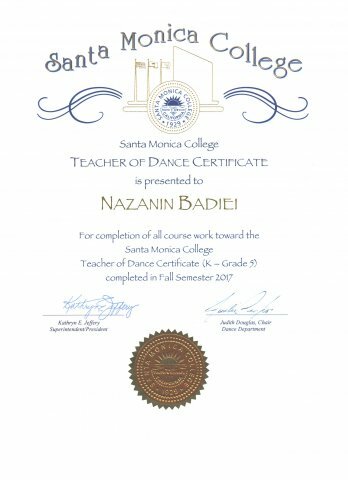 “…my mission is to introduce Persian Dancing, as it truly is.” says this illustrious artist, describing her heartfelt devotion to spreading this cornerstone of the Persian Culture. Dancetitute was conceived to cater to the yearning of lovers - the listeners to the hymn of the universe - to respond the passion of freeing your soul to music. Dancing is not to be viewed as a mere succession of structured movements, but a culture, a lifestyle, and a journey. At Dancetitute we bring you the finest in Persian dancing, with a twist of innovation, in both instruction and technique. A variety of dancing styles, from traditional Persian dancing in its purest, to more modern Persian dancing for admirers of upbeat dancing, and even a fusion of Latin style dancing with Persian choreography is available through our training system. Private sessions are also available to accommodate your preferences.